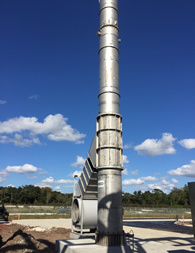 Indusco Environmental Services, Inc. provides all types of custom designed exhaust stacks to meet the need of every unique application. 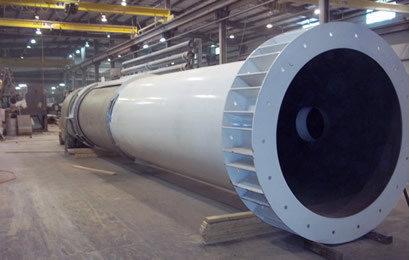 IES has experience in supplying stacks fabricated of all types of materials including; Carbon Steel, Corten Steel, Stainless Steel, Fiberglass, and multi-material designs. Stacks are provided with engineered proving techniques, design calculations and P.E. stamp. IES has provided many type stacks for some of the toughest applications and environments with units supplied to 160’ foot high in free standing design.